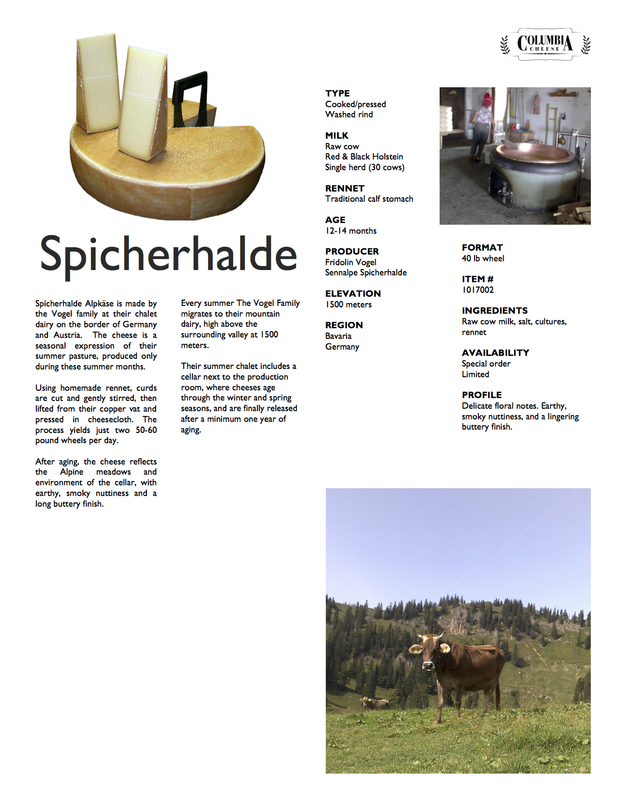 Spicherhalde Alpkäse is made by the Vogel family at their chalet dairy on the border of Germany and Austria. 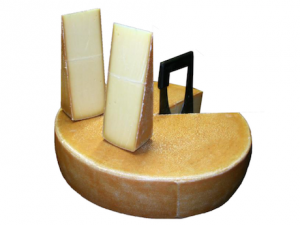 The cheese is a seasonal expression of their summer pasture, produced only during these summer months. Using homemade rennet, curds are cut and gently stirred, then lifted from their copper vat and pressed in cheesecloth. The process yields just two 50-60 pound wheels per day. After aging, the cheese reflects the Alpine meadows and environment of the cellar, with earthy, smoky nuttiness and a long buttery finish. Every summer The Vogel Family migrates to their mountain dairy, high above the surrounding valley at 1500 meters. Their summer chalet includes a cellar next to the production room, where cheeses age through the winter and spring seasons, and are finally released after a minimum one year of aging. PROFILE Delicate floral notes. Earthy, smoky nuttiness, and a lingering buttery finish.